This looks so cute on you!! Colorful stripes are so cute. You pull them off perfectly! I also am addicted to stripes! All of these are so cute. I am loving stripes always! I got the cutest stripped sweater at Nordstrom last week! You really look cute in that striped sweater. Great selections that you put together. Wish I could have one of each! The stripped sweater look is amazing on you! I love sweaters, and I do not like to spend tons of money on clothing, so these suggestions are perfect! I love a good stripe situation 😉 stay cozy out there! I love how this colors look on you! Plus we can’t beat that price! Perfect for Christmas gifts. The strips look great! I have a few striped shirts in the closet, but I don’t wear them nearly enough. I’m a total sweater fiend but I have yet to be bold enough to try out this trend! Thank you for the inspiration and for getting me to step out of my comfort zone! I haven’t been a fan of stripe patterns, most likely cause I feel it wouldn’t be the best look for me. These are cute ideas though. Would share it with friends who do love stripe patterns. I’m loving stripes this season this is such a great collection. I really love the ASOS sweater with the pop of yellow! I love striped sweaters! You picked out so many good ones too! I don’t wear a ton of color but this is a fun look! I’ll never say no to stripes though. I love your outfit! I have not fallen for the colorful stripe trend but I do know a few people who are able to pull it off well! 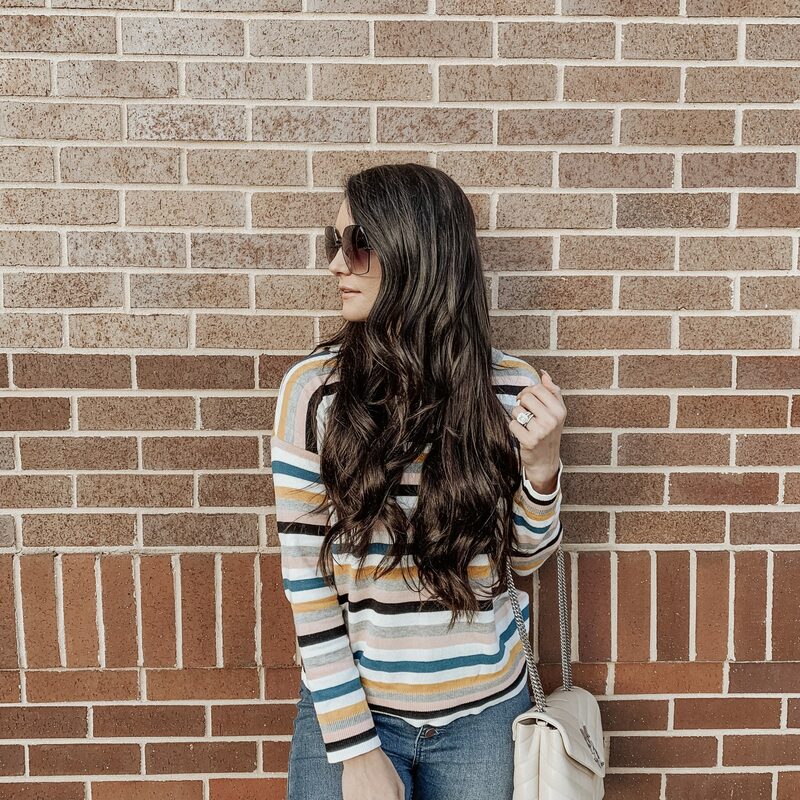 I love the cute simplicity of a chic striped sweater! They’re my favorites! Striped sweaters are the best!! They’re so easy to wear and perfect for the casual everyday look! I am not a huge fan of stripes, but I must say they are so on trend lately that I will end up caving in! There are some really cute options here! Sweater weather is just the best. Stripes are everywhere this season and they look so great! I cannot stop buying striped sweaters, lol! This one is so cute and so are the rest of your picks! I love stripes on you!! What a great roundup of sweaters. Love this sweater!! So stylish!! 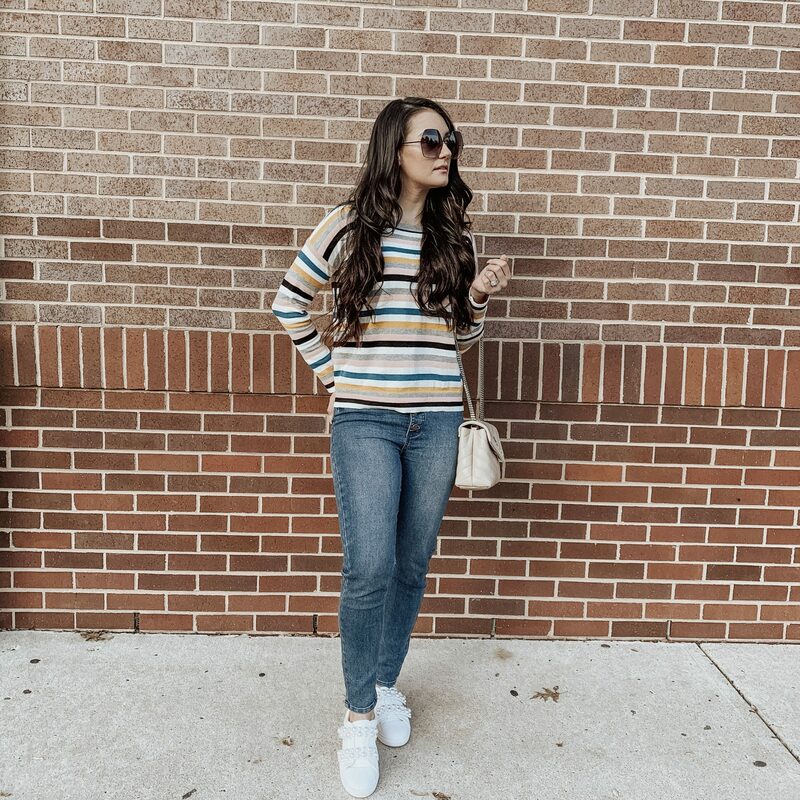 Love these stripes sweaters they are so good and stylish!! This post has my heart! I love stripes anything…so to be able to save money of my fave print is perfect for the holiday season!